Question: Modern life. Adulting. Dayjobs. Projects, Clients, Stakeholders. Our families. Vacations. Money … Which one of these doesn’t have problems? Answer: they ALL do, sadly. Our challenge is to identify WHICH problem to work on next with our precious, limited time. 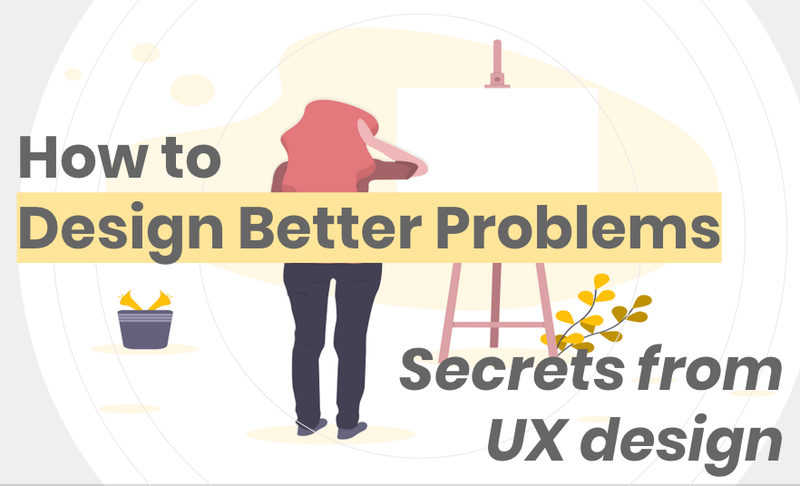 That’s why I created a short course on how to investigate and dig into problems like a designer, so you can identify and work on only the highest-value problems in your life and work! Designers seek to find high-value aspects of a problem to solve, define them clearly, and then create and test out relevant solutions. In this course, you’ll learn to look at, phrase, and define a problem like a designer, so that you can identify creative, possible solutions more easily. If you’re a Skillshare member, the Design Better Problems course is live here. Anyone can access the course for just 0.99 with this special invite link here – enjoy! !